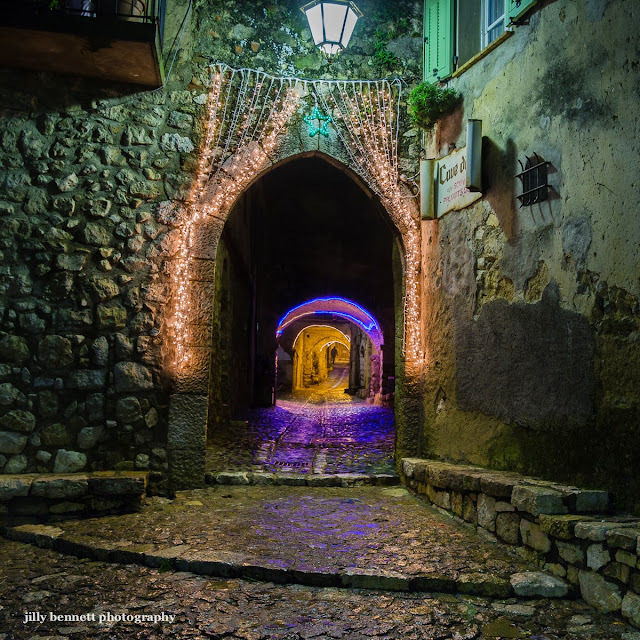 The entrance to the medieval village of Gorbio, illuminated for the Christmas and New Year festivities. L'entrée du village médiéval de Gorbio, illuminé pour les fêtes de Noël et du Nouvel An. J'adore this image Jilly, I'm such a big fan of arches and views through arches, excellent shot. I remember going through that place with you. It looked less bizarre in the summer.